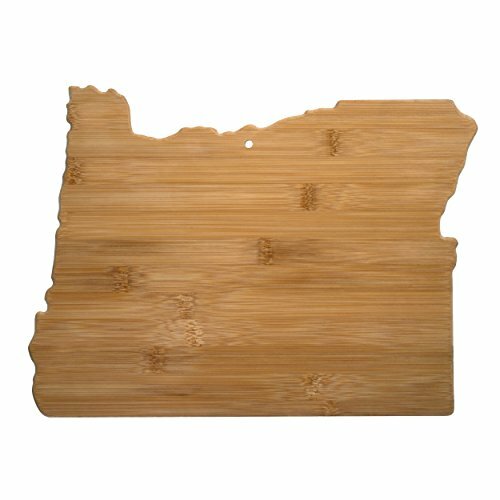 Celebrate life in The Beaver State with the Totally Bamboo Oregon State Shaped Bamboo Serving and Cutting Board. This beautifully crafted board is in the shape of the great state of Oregon. The board is made of sustainably-sourced Moso bamboo, which is gentler on knives than plastic and easier to clean and care for than hardwood. It also works wonderfully as a serving platter for favorite meats, cheeses and all varieties of snacks— perfect for tailgating or entertaining at home! 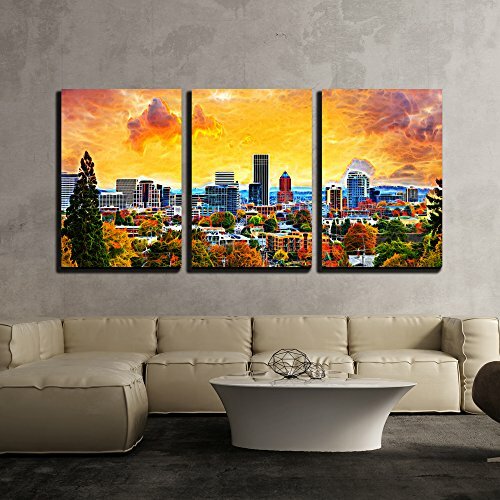 When it’s not being used in the kitchen or at get-togethers, the Oregon State Board also includes a hanging hole with a hang tie for an outstanding way to show your state pride on the wall of your home or office. It is built to last and easy to care for, simply hand wash and dry the board for the best results. Whether for yourself or the Oregon fan in your life, this board is sure to be hit! From a massive urban forest to the tiniest brewpub, Portland offers a huge variety of entertainments within a surprisingly compact area. Organic coffeeshops line the streets at the foot of an extinct volcano, and independent bookstores nestle up against food-cart pods. Already famous for its great beer, the city has become a center for serious dining on a reasonable budget. 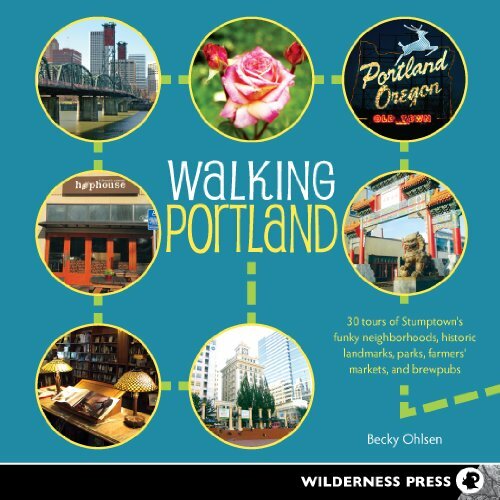 And thanks to years of progressive urban planning, Portland's layout makes it a walker's nirvana.In Walking Portland, devoted local Becky Ohlsen guides you through the Rose City's many charms, from idyllic waterfront fountains to the more obscure and out-of-the-way pockets of cool. On each walk, you'll discover hidden gardens, historic landmarks, award-winning restaurants, old-school taverns, oddball shops, and edgy warehouse galleries in some of the Northwest's most exciting neighborhoods. You'll cross bridges and graveyards, wander a Smithsonian-honored boulevard, see experiments in urban renewal (some inspiring, some dubious) and be regaled with stories of the city's colorful past. Whether you're looking for a leisurely stroll full of shopping and snacks or a vigorous trek over tree-covered hillsides, grab this book, step outside and . . . walk Portland. Insiders' Guide to Portland, Oregon is a beautiful full-color guide and the essential source for in-depth travel information for visitors and locals to this ever-growing city. 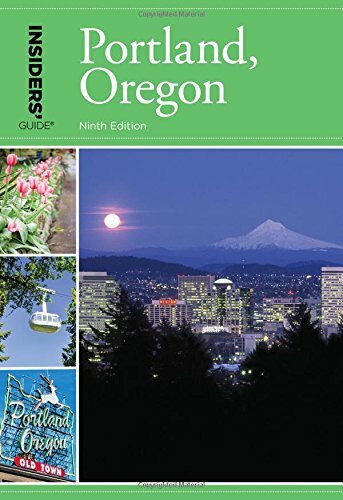 Written by a local (and true insider), Insiders' Guide to Portland, Oregon offers a personal and practical perspective of this location that makes it a must-have guide for travelers as well as residents looking to rediscover their hometown. This book traces the evolution of the city from a small town long dominated by cast-iron, terracotta, and brick buildings to a tourist destination. Sites include: New Market Theater, Blagen Block, Royal Palm Hotel, Grand Stable & Carriage Building, Pioneer Courthouse, First National Bank, City Hall, Berg Building, Portland Art Museum, Masonic Temple, Paramount Theatre, Union Station, Pittock Mansion, Bagdad Theater, Hollywood Theatre, St. John’s Bridge, and Swan Island. 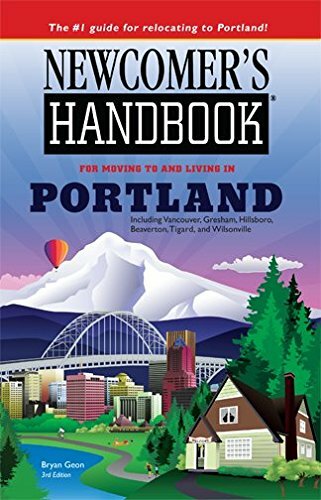 The third edition of the Newcomer s Handbook® for Moving to and Living in Portland, about 560 pages long, contains detailed and updated information on neighborhoods, getting settled, helpful services, child care and education, cultural life, and much more. 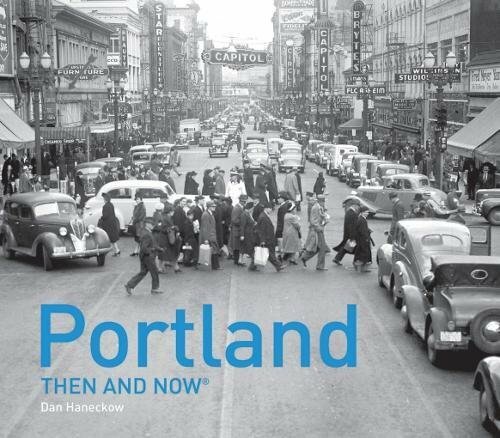 Written by Bryan Geon, who has spent over a decade exploring Portland and the surrounding region, both as a long-time resident and serial newcomer, this book is the essential guide to Portland and the surrounding communities. 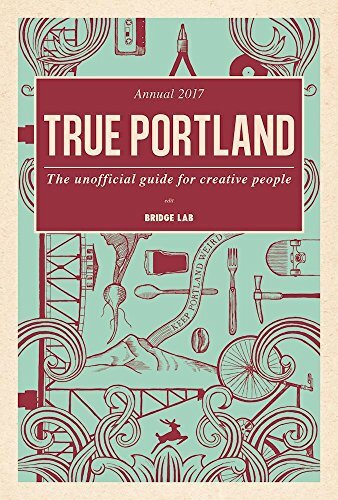 True Portland: The Unofficial Guide for Creative People is more than a travel guide, it’s a curated experience that captures the essence of what makes Portland different from other cities. In addition to the essential information about where to eat, sleep, shop, run, create, listen, and think, this book has distinctive features such as 48 Hours in Portland, offering nine itineraries by local tastemakers, and interviews with and commentaries by Portland luminaries including Chairwoman of Columbia Sportswear Gert Boyle and Executive Chef at Departure Gregory Gourdet, about what makes Portland unique. This comprehensive guide presents both longtime residents and first‐time visitors with exceptional insights into Portland. 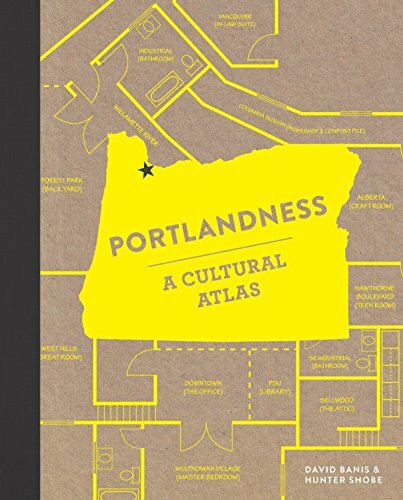 Inside this book you'll find: A highly visual, full-color guide (with maps and itineraries) to what and who makes Portland tick. Comprehensive listings for Portland's lively food and drink scene, ranging from its chef-owned restaurants, food carts, and pop-ups to local coffee roasters, specialty tea businesses, craft beer brewers, hard cideries, urban wineries, and cocktail culture. The inside scoop on Portland's progressive, free-spirited side, including skateparks, cycling, independent record labels, independent presses and bookstores, tattoo shops, LGBTQ businesses, and even vape shops. Wide-ranging outdoor adventures at close-in Portland locations, including the International Rose Test Garden, Forest Park, Mt. Tabor (the city's favorite dormant volcano), and the Vera Katz Eastbank Esplanade. Natural wonders farther afield, such as the Willamette Valley (Oregon's beloved wine country), Mt. Hood, the Columbia River Gorge, and the Oregon Coast. Other standouts: a brief history of Powell's Books, the lowdown on Portland's myriad record shops, stylish clothing and furniture designers, neighborhood farmers markets, historic beer-and-pizza movie theaters, diverse art galleries, neighborhood parks, the surrounding urban forest, stand-up comedy, and a month-to-month guide to Portland's favorite celebrated annual events. 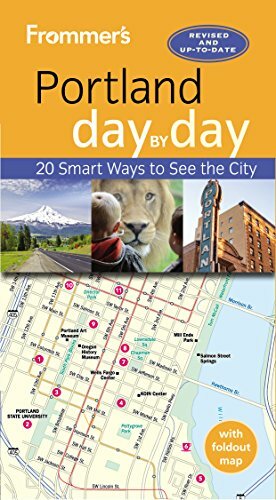 Packed with color photos, this bestselling guide offers dozens of itineraries that show you how to see the best of "Stumptown" in a short time—with bulleted maps that lead the way from sight to sight. Featuring a full range of thematic and neighborhood tours, plus dining, lodging, shopping, nightlife, and practical visitor information, Frommer's Portland day by day is the only guide that helps travelers organize their time to get the most out of a trip.Inside this book you'll find:- Full color throughout with scores of photos and dozens of maps- Sample one- to three-day itineraries that include Portland with Kids, Rainy Day Portland, Offbeat Portland, and more- A thorough discussion of side trips to the Willamette Valley (Portland wine country), Mount Hood, the Columbia River Gorge, the Hood River, and the Oregon Coast- Star ratings for all hotels, restaurants, and attractions--all to clue readers in on great finds and values- Exact pricing so there’s never any guessing- A tear-resistant foldout map in a handy, reclosable plastic wallet, as well as bulleted maps throughout.